October 3, 2016 – Today, NASA’s Mars Atmosphere and Volatile EvolutioN (MAVEN) mission completed one Mars year of science observations. One Mars year is just under two Earth years. MAVEN launched on a United Launch Alliance Atlas V rocket on November 18, 2013, and went into orbit around Mars on September 21, 2014. 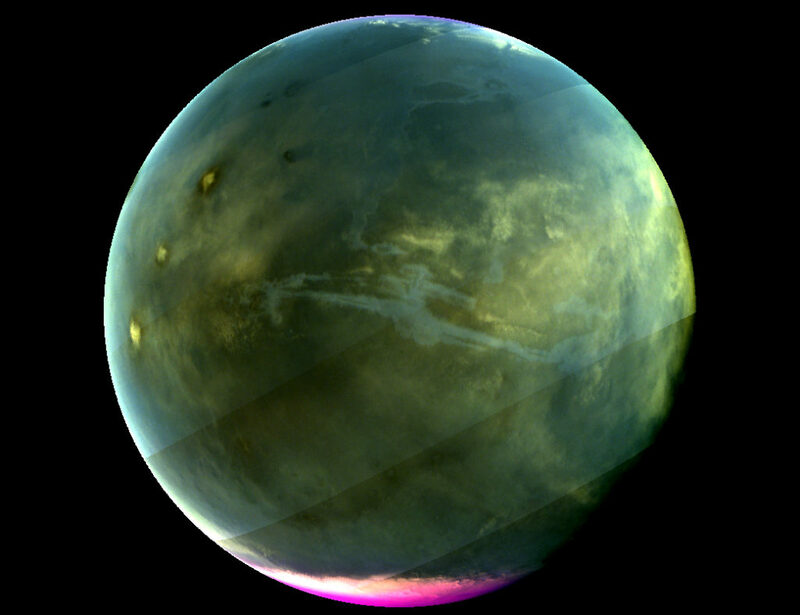 During its time at Mars, MAVEN has answered many questions about the Red Planet. “Taken together, the MAVEN results tell us that loss of gas from the atmosphere to space has been the major force behind the climate having changed from a warm, wet environment to the cold, dry one that we see today,” said Bruce Jakosky, MAVEN principal investigator, from the University of Colorado in Boulder. 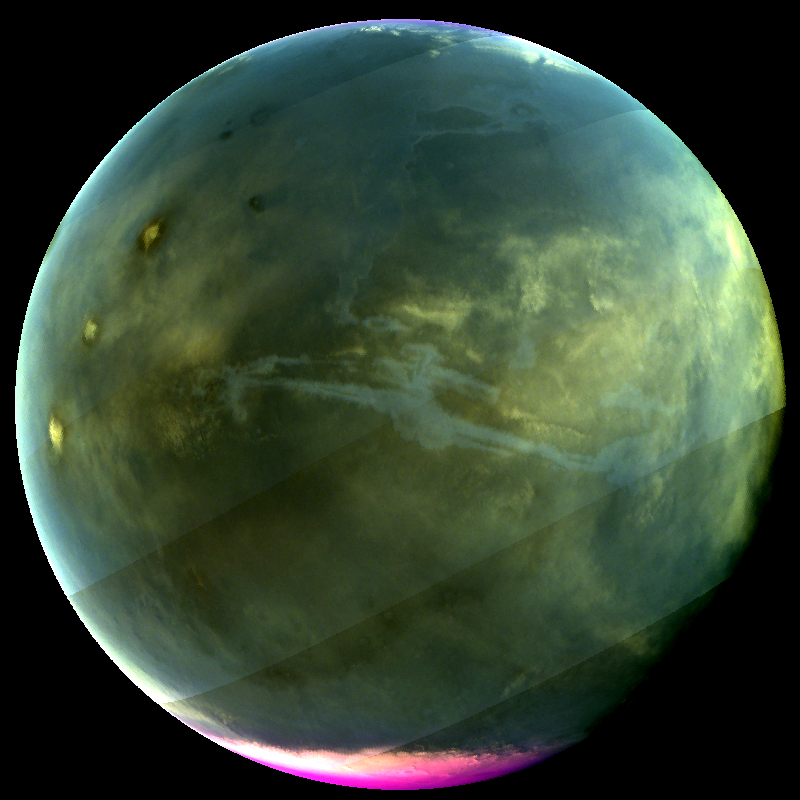 NASA recently declared that MAVEN had achieved mission success during its primary mission. Mission success means that the spacecraft operated as intended, made the expected science measurements, and achieved its proposed science objectives. 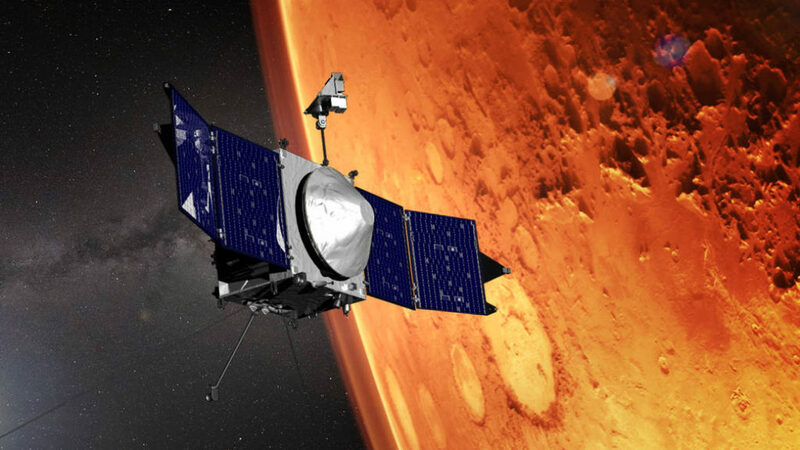 MAVEN has been approved for an additional two-year extended mission that will run through the end of September 2018. All spacecraft systems and science instruments continue to operate as expected. Data is being collected and measurements are extending to a second Mars year and to a different phase in the eleven-year cycle of solar activity. The science team is implementing additional ways of operating the instruments to expand on the science achieved during the primary mission. MAVEN’s principal investigator is based at the University of Colorado’s Laboratory for Atmospheric and Space Physics, Boulder. The university provided two science instruments and leads science operations, as well as education and public outreach, for the mission. NASA’s Goddard Space Flight Center in Greenbelt, Maryland, manages the MAVEN project and provided two science instruments for the mission. Lockheed Martin of Littleton, Colorado, built the spacecraft and is responsible for mission operations. The University of California at Berkeley’s Space Sciences Laboratory also provided four science instruments for the mission. NASA’s Jet Propulsion Laboratory in Pasadena, California, provides navigation and Deep Space Network support, as well as the Electra telecommunications relay hardware and operations.